In Austin we consider ourselves lucky to have so many badass locally owned businesses. So as we move into 2017, we wanted to spotlight some of the best places where we can spend our money and at the same time support the local community. Our favorite among those local businesses that we think are worth supporting are the unique spots that help give Austin the character we all love. Many of our picks also include business models that are designed to give back to communities in need, both near and far. By supporting these folks, you are contributing to so much more than meets the eye. Help keep Black Star from closing! 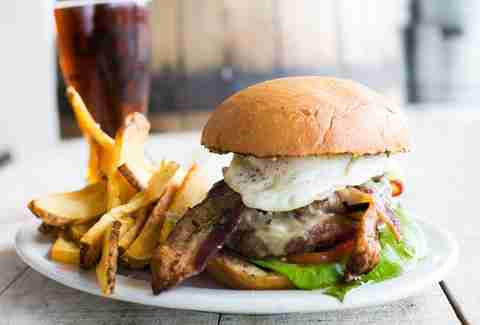 We all know that Black Star Co-op brews amazing beers like High Esteem, their crisp, floral golden ale brewed with wildflower honey and that its menu is full of huge burgers, spicy chili, fried chicken sandwiches, and garlicky fries that are among the best in town. Open since 2010, Black Star is also the world’s first cooperatively owned and worker self-managed brewpub, which pay its employees fair living wages, offers insurance and other benefits, and doesn’t accept tips. They purchase local ingredients and have a nearly invisible carbon footprint. However, Black Star Co-op may be forced to shut down if revenue doesn’t go up. From Black Star Co-op: “In the face of historically slow sales, Black Star Co-op is [experiencing] a cash flow crisis that immediately threatens the business. If sales continue on as they are now, we could close our doors by the end of the month. The workers have done all they can to staunch the bleeding: cut wages, froze wages, pared down employee benefits, and performed layoffs. To ask for further sacrifices from our workers would challenge the co-op's very identity.” Austin, you know what to do. BookPeople is one of those places in Austin that still evokes so much ’90s nostalgia -- if you were lucky enough to have been born before the digital age, you’ll remember how much fun it was to loiter in bookstores. 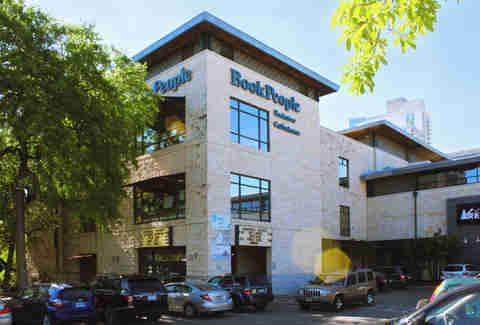 Now with big-box bookstores rapidly closing, it’s more important than ever to support independently owned BookPeople. They have a great selection of books and gifts and a quirky, knowledgeable staff who handwrite recommendations that make choosing your next read super easy. They also host literary camps and storytime for kids, as well as author readings. You can’t hang out in a bar without hearing someone order Tito’s -- along with Topo Chico, it’s Austin’s official beverage. Tito’s was the first legal distillery in Texas and when founder/owner Tito Beveridge (yes, that’s his name) started making vodka, he became a magnet for stray dogs; some became shop dogs and many were found homes by Tito and his staff. This love for dogs resulted in the Tito’s vodka national program, Vodka for Dog People. 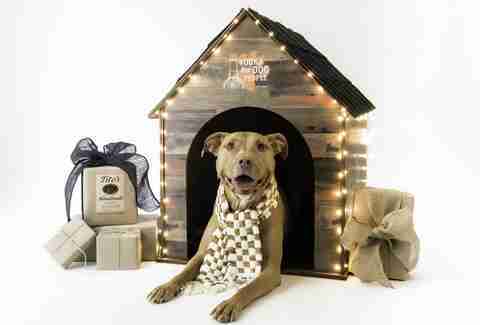 The program benefits the Humane Society in multiple cities and underfunded spay and neuter programs via fundraising events and profits from sales of super cute Tito’s merchandise for both pups and people. Here in Austin, the beneficiary is Emancipet, Austin’s top resource for low-cost veterinary services. Visit vodkafordogpeople.com for more info. Italian eatery L'Oca d'Oro is recognized for its serious everything-from-scratch cuisine, including the mushroom lasagna that has everyone buzzing. As it turns out, they are also incredibly decent people -- they recently signed a petition to be a sanctuary restaurant, which promises to promote discrimination-free workplaces. They are only one of two Austin restaurants currently participating. They have also implemented an automatic tipping policy to ensure fair pay for employees front and back of house (this is a national trend and an issue they've taken a strong stance on). L'Oca d'Oro also has a number of special dinners in the works in 2017 for social causes, including a January dinner to benefit SAFE, which helps survivors of child abuse and neglect, sexual assault and exploitation, and domestic violence. And this is all just a sample of the work they are doing that extends beyond the kitchen. East Austin’s Springdale Farm is a family-operated urban farm that grows over 75 seasonal vegetable varieties. They also operate Springdale Center for Urban Agriculture, a nonprofit organization formed “for the purpose of promoting sustainable agriculture in urban areas, growing connections between people and local food systems, fostering community, and teaching the arts of sustainable living.” For the gaggles of school children who tour the farm, owners Glenn and Paula Foores’ goal is to help them become more connected with their food from seed to fork -- encouraging healthy food choices as well as teaching how food is planted, propagated, and harvested. How can you support Springdale Farm? 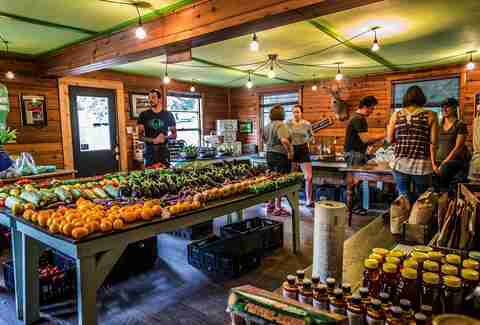 Every Wednesday and Saturday morning from 9am to 1pm, hit up the farm stand (located at the farm) for seasonal vegetables, chicken and duck eggs, body butters, scrubs, salves, bath products and candles as well as edible goods from local artisans. See everything you can score at the farm stand here. 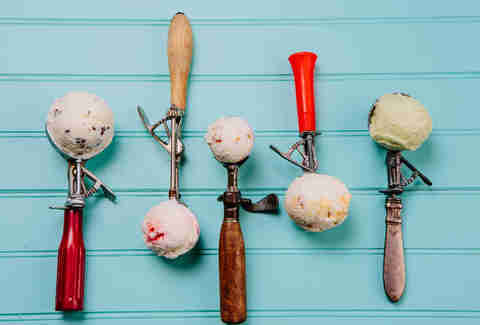 Lick Honest Ice Creams makes some of the best ice cream in Austin. The unique combinations of local ingredients will blow you away -- try the goat cheese, thyme and honey or a seasonal flavor like cinnamon sugar cookie. Not only is their product sustainable and made with all natural ingredients, but co-owners Anthony Sobotik and Chad Palmatier have made a commitment to give back to the community. Last year Lick donated over $14,000 in cash to Central Texas nonprofits -- which was over three times the amount they donated in 2015 ($4,029). Those nonprofits included Sustainable Food Center, Ronald McDonald House Charities, Hill Country Ride for AIDS, Austin Pets Alive!, and Urban Roots -- and they definitely plan on supporting many of those nonprofits again this year through unique and creative partnerships. Overall, Lick donates to over 200 charities -- mostly those that focus on local food and support local schools, pet adoption, and support the elderly, sick, and abused. 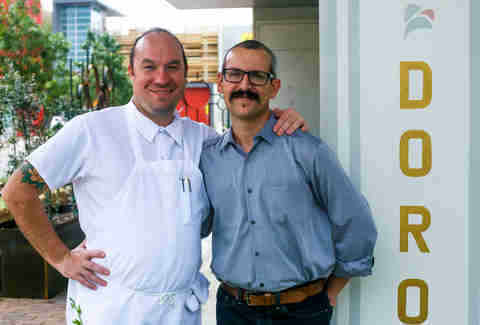 Odd Duck tops every list of Austin’s best restaurants but what you may not know is what big hearts owner/executive chef Bryce Gilmore and his team have. Their most recent fundraising event proceeds went to cover farmer’s fees for the SFC Farmers’ Market for a month and to Zilker Elementary school garden. Odd Duck started the school garden with the Zilker Elementary PTA and teachers in 2014, with the goal to make the existing garden a full scale garden that would educate kids about where their food comes from at a young age. With Odd Duck’s assistance from fundraising (the past three anniversary parties, bake sales and other fundraisers over the years) Zilker Elementary now has a teacher dedicated to the garden curriculum AND food grown in the garden is starting to be served in the cafeteria. 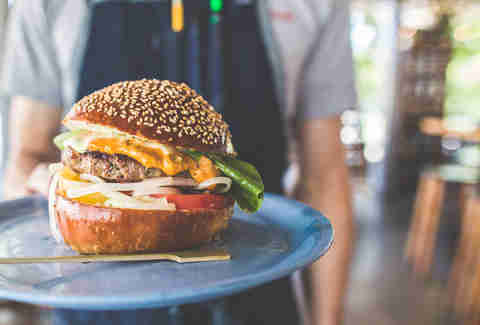 Sister restaurant, Barley Swine, has partnered with Shoal Creek Conservancy for hugely successful bakes sales and happy hours with proceeds going to the non-profit. At the 2016 March of Dimes event, Bryce Gilmore’s auction package (a tailgating party with Bryce) went for over $15k which was donated to March of Dimes. How can you contribute to this giving campaign? Eat and drink at Odd Duck and sister restaurant Barley Swine. Easy. 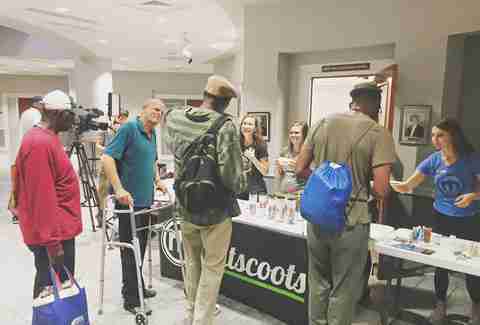 Using a business model similar to Toms, for every product they sell, Mitscoots provides an equal item to someone in need while employing the transitioning homeless to package and ship. Mitscoots owners, Austinites Tim and Agata Scott saw the homeless’ need for new socks while volunteering for Austin’s Mobile Loaves and Fishes. In addition to cute, colorful socks for men, women, kids and babies, Mitscoots also sells (and gives) T-shirts, tanks, beanies, hats, scarves, and gloves. You can find their gear at Parts & Labour on South Congress or order online. What if Your Favorite TV Shows Were Set in Austin? 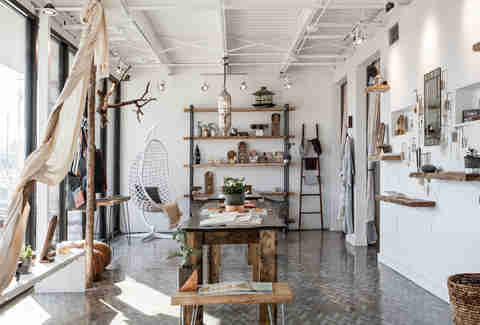 Texas-based TreeHouse is a first-of-its-kind home improvement store, it’s like a super-green Home Depot. It specializes in curated products and services that promote healthy and sustainable spaces with an emphasis on high performance and design. Customers come to find supplies and services that range from nontoxic paints and flooring to home solar systems. In 2015, TreeHouse was proud to donate to the Community First! Village -- the 27-acre community of micro homes which provide affordable permanent housing and stability to Austin’s homeless -- including energy-efficient windows and doors. To continue their support for this incredible organization, they organize a quarterly staff volunteer day at the Community First! Village. 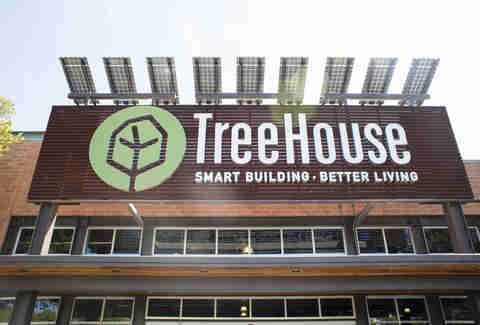 TreeHouse is located on West Gate Blvd. 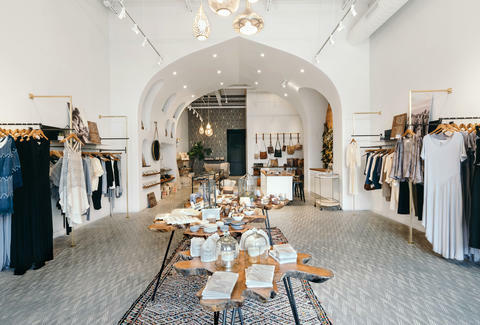 With a location on Manor Rd and a new space at Domain North, Raven + Lily is much more than just a chic boutique -- it was created to alleviate poverty among women from multiple countries. You can read some of their stories here. Raven + Lily provides safe jobs, sustainable income, health care, and education to the over 1,500 marginalized women they currently employ. Products at the boutique are modern, made by hand and follow all fair trade standards. See why Raven + Lily were named the Best for the World in Community Impact by B Corp and spend your money where it counts. Anastacia Uriegas is a writer who plans on supporting all of the businesses mentioned here. Follow her ice-cream eating, book reading, boutique shopping and Tito’s drinking here: @anaurie.